Having worked with customers both locally and around the globe, the custom process has been perfected. The customer has as little or as much involvement as they wish from stone selection and design drawings all the way to the final polish. The end result - a one-of-a-kind piece with a unique story behind it! 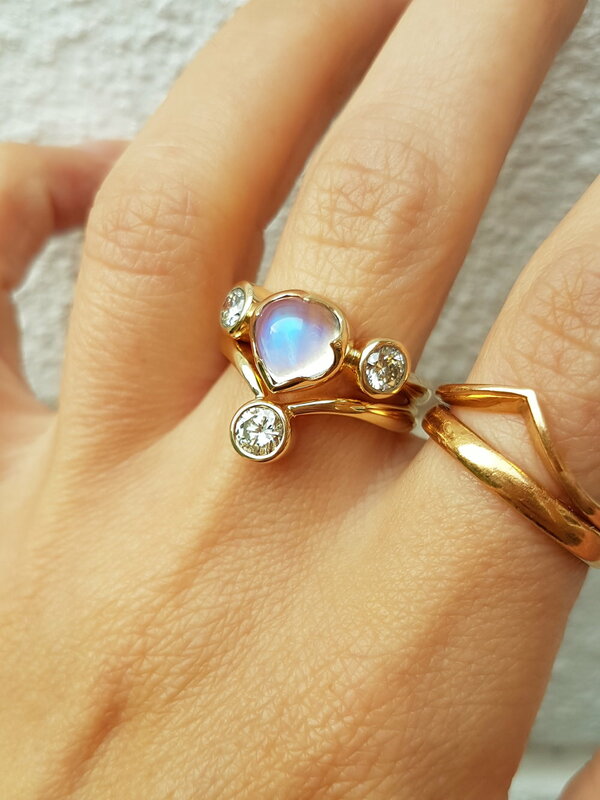 Whether you're wanting to create a piece from new, or something from sentimental jewellery, I will work closely with you to produce something truly special, within your budget. 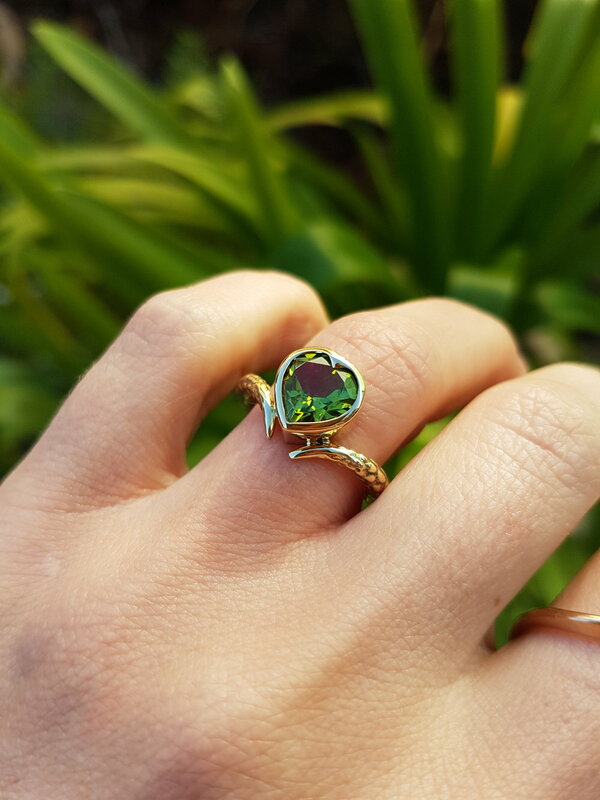 With the choice of gold (yellow, white or rose) or sterling silver and a vast array of fine quality stones, the finished piece really is personal to you. Choice of gemstones can be the most important part of the process and this part can be the most detailed in terms of communication. I have built up a large selection of quality gem suppliers, globally, and will hunt down the perfect stones to your spec. Videos, photos and measurements can be sent including scenarios for stone arrangements positioned on existing rings to help visualise the end results. Each piece has a different time scale for completion, which will be discussed at this stage but if you have a date in mind, I will try and work to this where possible. 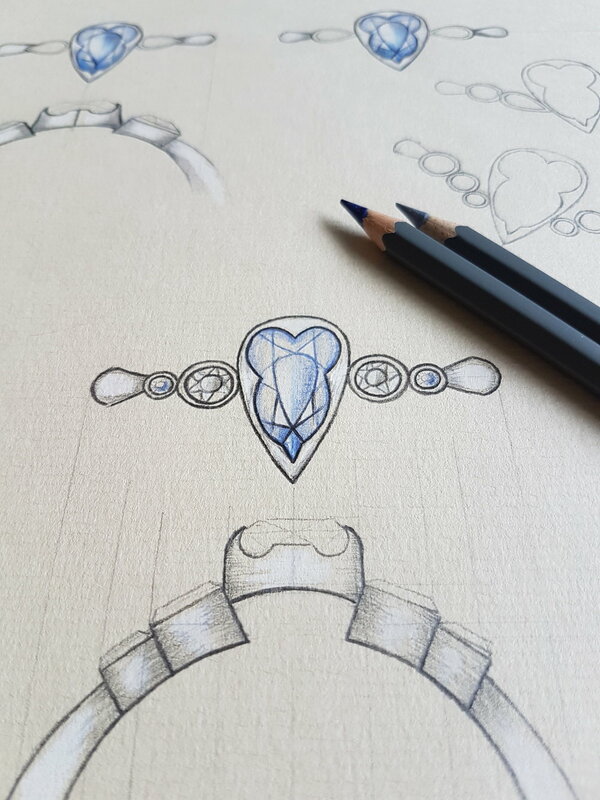 Once the initial consultation has taken place, where stones, materials, budget and ideas have been discussed, I will draw various designs to talk through with you. This is where your ideas are brought to life into a visual representation and any final, personal touches can be added. Once a design is agreed, a 50% deposit is required to start the making. This is done through secure PayPal invoicing (which you do not need a PayPal account for). The remaining balance is due prior to shipping and payment plans can be discussed if required. If you wish, I will keep you updated with the entire process including putting the gold through the rolling mill, making the stone settings and the final polish. Once all is complete, you will then receive a tracking number with which you can track your parcel in detailed steps from collection to customs, through to delivery no matter where you are in the world!